Posted on Friday, June 20th, 2014 at 7:35 am. A self-confident person has a greater chance to choose the right goals and to accomplish them. If you want to build your self-confidence and become a more assertive person, consider joining Assertiveness and Self Confidence Training Course by pdtraining delivered in Dallas and other cities in the US. 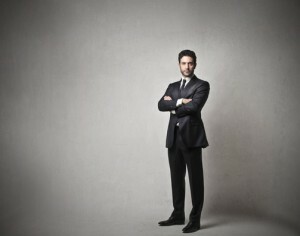 Even if you know the techniques to build self-confidence, you must keep yourself motivated to work on yourself to develop a confident personality. To keep yourself motivated, remind yourself of the short and the long-term benefits of building self-confidence. The spectacular prize will help you to get there. The way people see you is the way you present yourself before them. If you lack self-confidence, you can only fake it so much and for so long. As self-confidence heavily impacts your life, developing it will have a major effect on your relationships with people. By building your self-confidence, you will be able to create a favorable impression on others. The quality of your communication will improve and you will voice your opinions and decisions confidently. People will be less likely to take you for granted or disregard your opinion. When you feel the need to show assertiveness, you will have the confidence to be assertive. After you start building self-confidence, you will feel yourself more in control of yourself, the people you interact with, and your surroundings. You will know what you want. A person lacking in self-confidence is often confused and influenced by other people. As you develop self-confidence, you will begin to think for yourself, stick to your decisions, and find ways to accomplish tasks. Instead of allowing others to make or influence your decisions, you will have the courage to make your decisions and be responsible for the outcome. Only a confident person takes risks because s/he does not fear failure. As you build confidence in yourself, you will find that you are no longer shying away from taking risks. Calculated risks and, sometimes, following instincts can lead us to opportunities we otherwise would miss. Gathering enough confidence in your abilities may result in you making some unusual decisions that may pay huge dividends. A self-confident person does not seek to depend upon others for support. S/he is more likely to develop her/his own skills and knowledge to retain independence. Building of self-confidence leads to self-reliance. As you begin to gain greater control over your life and wish to retain it, you will be building upon your skills and knowledge rather than depend upon others’ help. Once you begin to grow more confident, you will begin to feel more responsible towards yourself and others. An enhanced sense of responsibility will help you to judge choices better, plan effectively, complete tasks successfully, and even work harder. As a self-confident and assertive person, you will think yourself responsible for your decisions and actions, and therefore, develop ways to make the right decisions and perform the right actions to achieve favorable outcomes.